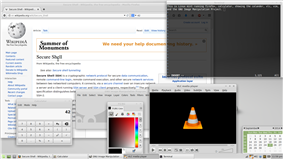 Free software, software libre, or libre software is computer software that gives users the freedom to run the software for any purpose as well as to study, change, and distribute the software and the adapted versions. The right to study and modify free software gives full access to its source code. 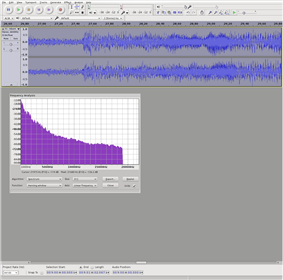 For computer programs which are covered by copyright law this is achieved with a software license where the author grants users the aforementioned freedoms. Software which is not covered by copyright law, such as software in the public domain is free if the source code is in the public domain (or otherwise available without restrictions). Other legal and technical aspects such as software patents and Digital restrictions management can stop from exercising their rights, and thus prevent software from being free. Free software may be developed collaboratively by volunteer computer programmers or by corporations; as part of a commercial, for-profit activity or not. Free software is a matter of liberty, not price: users, individually or collectively, are free to do what they want with it – this includes the freedom to redistribute the software free of charge, or to sell it (or related services such as support or warranty) for profit. Free software thus differs from proprietary software (such as Microsoft Office, Google docs or iWork from Apple), which prevents users from studying, changing and sharing the software. Free software is also different from freeware, which is simply a category of freedom-restricting proprietary software which does not require payment for use. Proprietary software (including freeware) use restrictive software licences or EULAs and usually do not provide access to the source code. Users are thus prevented from changing the software, and this results in the user relying on corporations (such as Microsoft) to provide updates, help, and support. This situation is called vendor lock-in. Users often can't reverse engineer, modify, or redistribute proprietary software. The term "free software" was coined in 1985 by Richard Stallman when launching the GNU Project - a collaborative effort to create a freedom-respecting operating system - and the Free Software Foundation, or FSF. The FSF's Free Software Definition states that users of free software are "free" because they do not need to ask for permission to use the software. From the 1950s up until the early 1970s, it was normal for computer users to have the software freedoms associated with free software. SHARE, were formed to facilitate exchange of software. By the early 1970s, the picture changed: software costs were dramatically increasing, a growing software industry was competing with the hardware manufacturer's bundled software products (free in that the cost was included in the hardware cost), leased machines required software support while providing no revenue for software, and some customers able to better meet their own needs did not want the costs of "free" software bundled with hardware product costs. In United States vs. IBM, filed January 17, 1969, the government charged that bundled software was anti-competitive. While some software might always be free, there would henceforth be a growing amount of software produced primarily for sale. In the 1970s and early 1980s, the software industry began using technical measures (such as only distributing binary copies of computer programs) to prevent computer users from being able to study or adapt the software as they saw fit. In 1980 copyright law was extended to computer programs. 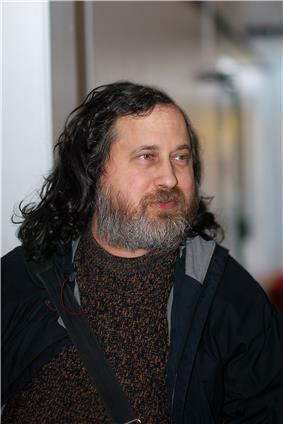 In 1983, Richard Stallman, one of the original authors of the popular Emacs program and a longtime member of the hacker community at the MIT Artificial Intelligence Laboratory, announced the GNU project, the purpose of which was to produce a completely non-proprietary Unix-compatible operating system, saying that he had become frustrated with the shift in climate surrounding the computer world and its users. In his initial declaration of the project and its purpose, he specifically cited as a motivation his opposition to being asked to agree to non-disclosure agreements and restrictive licenses which prohibited the free sharing of potentially profitable in-development software, a prohibition directly contrary to the traditional hacker ethic. Software development for the GNU operating system began in January 1984, and the Free Software Foundation (FSF) was founded in October 1985. He developed a free software definition and the concept of "copyleft", designed to ensure software freedom for all. Some non-software industries are beginning to use techniques similar to those used in free software development for their research and development process; scientists, for example, are looking towards more open development processes, and hardware such as microchips are beginning to be developed with specifications released under copyleft licenses (see the OpenCores project, for instance). Creative Commons and the free culture movement have also been largely influenced by the free software movement. The FSF recommends using the term "free software" rather than "open-source software" because, as they state in a paper on Free Software philosophy, the latter term and the associated marketing campaign focuses on the technical issues of software development, avoiding the issue of user freedoms. The FSF also notes that "Open Source" has exactly one specific meaning in common English, namely that "you can look at the source code." Stallman states that while the term "Free Software" can lead to two different interpretations, one of them is consistent with FSF definition of Free Software so there is at least some chance that it could be understood properly, unlike the term "Open Source". Stallman has also stated that considering the practical advantages of free software is like considering the practical advantages of not being handcuffed in that it is not necessary for an individual to consider practical reasons in order to realize that being handcuffed restricts their freedom. "Libre" is often used to avoid the ambiguity of the word "free" in English language; see Gratis versus libre. The first formal definition of free software was published by FSF in February 1986. That definition, written by Richard Stallman, is still maintained today and states that software is free software if people who receive a copy of the software have the following four freedoms. The numbering begins with zero, not only as a spoof on the common usage of zero-based numbering in programming languages, but also because "Freedom 0" was not initially included in the list, but later added first in the list as it is was considered very important. The BSD-based operating systems, such as FreeBSD, OpenBSD, and NetBSD, do not have their own formal definitions of free software. Users of these systems generally find the same set of software to be acceptable, but sometimes see copyleft as restrictive. They generally advocate permissive free software licenses, which allow others to use the software as they wish, without being legally forced to provide the source code. Their view is that this permissive approach is more free. The Kerberos, X11, and Apache software licenses are substantially similar in intent and implementation. Modern desktop: Here is a screenshot of Linux Mint running the Xfce desktop environment, Firefox, a calculator program, the built-in calendar, Vim, GIMP , and VLC media player. 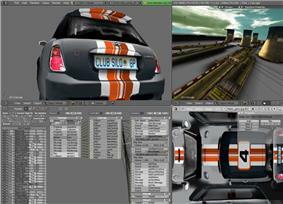 Thousands of other free desktop applications are available on the Internet. Users can easily download and install this free software via a simple package manager that comes with most Linux distributions. The Free Software Directory maintains a large database of free software packages. Some of the best-known examples include the Linux kernel, the BSD and GNU/Linux operating systems, the GNU Compiler Collection and C library; the MySQL relational database; the Apache web server; and the Sendmail mail transport agent. Other influential examples include the emacs text editor; the GIMP raster drawing and image editor; the X Window System graphical-display system; the LibreOffice office suite; and the TeX and LaTeX typesetting systems. All free software licenses must grant users all the freedoms discussed above. However, unless the applications' licenses are compatible, combining programs by mixing source code or directly linking binaries is problematic, because of license technicalities. Programs indirectly connected together may avoid this problem. The FSF list is not prescriptive: free licenses can exist that the FSF has not heard about, or considered important enough to write about. So it's possible for a license to be free and not in the FSF list. The OSI list only lists licenses that have been submitted, considered and approved. All open-source licenses must meet the Open Source Definition in order to be officially recognized as open source software. Free software on the other hand is a more informal classification that does not rely on official recognition. Nevertheless, software licensed under licenses that do not meet the Free Software Definition cannot rightly be considered free software. Public domain software: the copyright has expired, the work was not copyrighted, or the author has released the software onto the public domain (in countries where this is possible). Since public-domain software lacks copyright protection, it may be freely incorporated into any work, whether proprietary or free. The FSF recommends the CC0 public domain dedication for this purpose. Copyleft licenses, with the GNU General Public License being the most prominent: the author retains copyright and permits redistribution under the restriction that all such redistribution is licensed under the same license. Additions and modifications by others must also be licensed under the same "copyleft" license whenever they are distributed with part of the original licensed product. This is also known as a Viral license. Due to the restriction on distribution not everyone considers this type of license to be free. Almost all computer viruses can only affect the Microsoft Windows operating system, but antivirus software such as ClamAV (shown here) is still provided for Linux and other Unix-based systems, so that users can scan files to detect malware that might infect Windows hosts. Free software advocates strongly believe that this methodology is biased by counting more vulnerabilities for the free software, since its source code is accessible and its community is more forthcoming about what problems exist, (This is called "Security Through Disclosure") and proprietary software can have undisclosed societal drawbacks, such as disenfranchising less fortunate would-be users of free programs. As users can analyse and trace the source code, many more people with no commercial constraints can inspect the code and find bugs and loopholes than a corporation would find practicable. According to Richard Stallman, user access to the source code makes deploying free software with undesirable hidden spyware functionality far more difficult than for proprietary software. Many free operating systems such as Debian GNU/Linux, OpenBSD, and FreeBSD have more secure default installation configurations than Microsoft Windows, resulting in far fewer compromised systems. Furthermore, users of free operating systems have access to a wide array of free security software, such as the packet analyzer Wireshark (shown here), which they can use to secure their operating systems and networks. The issue of binary blobs in the Linux kernel and other device drivers motivated some developers in Ireland to launch gNewSense, a Linux based distribution with all the binary blobs removed. The project received support from the Free Software Foundation and stimulated the creation, headed by the Free Software Foundation Latin America, of the Linux-libre kernel. As of October 2012, Trisquel is the most popular FSF endorsed GNU/Linux distribution ranked by Distrowatch (over 12 months). Since free software may be freely redistributed, it is generally available at little or no fee. Free software business models are usually based on adding value such as applications, support, training, customization, integration, or certification. At the same time, some business models that work with proprietary software are not compatible with free software, such as those that depend on the user to pay for a license in order to lawfully use the software product. Fees are usually charged for distribution on compact discs and bootable USB drives, or for services of installing or maintaining the operation of free software. Development of large, commercially used free software is often funded by a combination of user donations, corporate contributions, and tax money. The SELinux project at the United States National Security Agency is an example of a federally funded free software project. In practice, for software to be distributed as free software, the source code, a human-readable form of the program from which an executable form is produced, must be accessible to the recipient along with a document granting the same rights to free software under which it was published. Such a document is either a free software license or the release of the source code into the public domain. Selling software under any free software licence is permissible, as is commercial use. This is true for permissive licences, such as the BSD licence, or copyleft licences such as the GNU GPL. The Free Software Foundation encourages selling free software. As the Foundation has written, "Distributing free software is an opportunity to raise funds for development. Don't waste it!". For example the GNU GPL that is the Free Software Foundation's license states that "[the user] may charge any price or no price for each copy that you convey, and you may offer support or warranty protection for a fee." Under the free software business model, free software vendors may charge a fee for distribution and offer pay support and software customization services. Proprietary software uses a different business model, where a customer of the proprietary software pays a fee for a license to use the software. This license may grant the customer the ability to configure some or no parts of the software themselves. Often some level of support is included in the purchase of proprietary software, but additional support services (especially for enterprise applications) are usually available for an additional fee. Some proprietary software vendors will also customize software for a fee. Of the world's five hundred fastest supercomputers, 480 (96%) use the Linux kernel. The world's second fastest computer is the Oak Ridge National Laboratory's Titan supercomputer (illustrated), which uses the Cray Linux Environment. The economic viability of free software has been recognized by large corporations such as IBM, Red Hat, and Sun Microsystems. Many companies whose core business is not in the IT sector choose free software for their Internet information and sales sites, due to the lower initial capital investment and ability to freely customize the application packages.